Aam Aadmi Party chief Arvind Kejriwal apologizes to Shiromani Akali Dal (SAD) leader Bikram Singh Majithia. 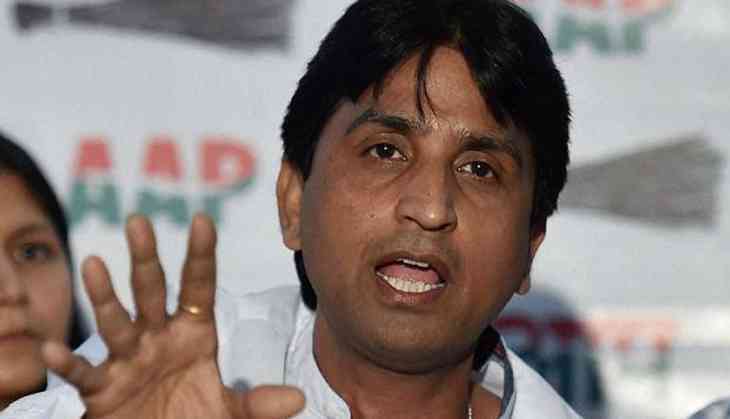 After Kejriwal's apology to the SAD leader, party senior leader Kumar Vishwas on Thursday took a poetic dig over Arvind Kejriwal apology to the Majithia and accused him of not standing by his words. The AAP chief's apology has led to political differences between the national leadership of the party and AAP's Punjab unit leaders. AAP leader and poet Kumar Vishwas took to Twitter and posted a couplet saying, what do call a person who doesn’t stay true to his word. He also retweeted both Sandhu and Khaira’s reactions. Tendering an apology, Delhi CM Kejriwal said, that he had learned that the "allegations are unfounded". In his letter, Kejriwal also regretted the "damage caused to your esteem, the hurt caused to your family, friends, well-wishers, followers and the loss" faced by Majithia. A day after the Delhi CM and AAP chief apologize to SAD leader Bikram Majithia, Aam Aadmi Party's Punjab chief Bhagwant Mann resigned on Friday. Bhagwant Mann tweeted, I m resigning as a president of AAP Punjab ...but my fight against drug mafia and all kind of corruption in Punjab will continue as an “Aam Aadmi “ of Punjab. The AAP chief Arvind Kejriwal's sudden move has given rise to another politico-crisis within the party leaders. Punjab's AAP party unit leaders called the apology a 'meek surrender' and alleged that Kejriwal has let down Punjab's AAP leaders. Punjab's leader Sukhpal Singh Khaira said that Kejriwal has taken this step without discussing with the party.